How many webcams are there in the world? I have no idea. Millions upon millions. But the problem is that 99.99% of them are dull and boring, like watching concrete dry. (Although, perhaps, the very inner essence of webcams is to be repetitious and dull.) But take a look at the collection we've put together here: these boring webcams are actually amazing in another way. Meeting of an ocean liner and a container ship on the hi-res webcam of the Gatun Locks, at the Panama Canal. This is one of the two webcams in the Building 29 cleanroom at NASA's Goddard Space Flight Center. That large, black, square, "latticed" box in the center of the image is the flight ISIM Structure, which will hold Webb's science instruments and will sit behind the 6.5-meter mirror. Beautiful outdoor view of the ESA's 35m deep space tracking station at Cebreros, Spain. The antenna dish diameter is 35 meters, structure height: 40 meters, overall weight: 630 tons. The antenna is remotely operated from Germany. Composite of 9 webcams operating inside the Kennedy Space Center. 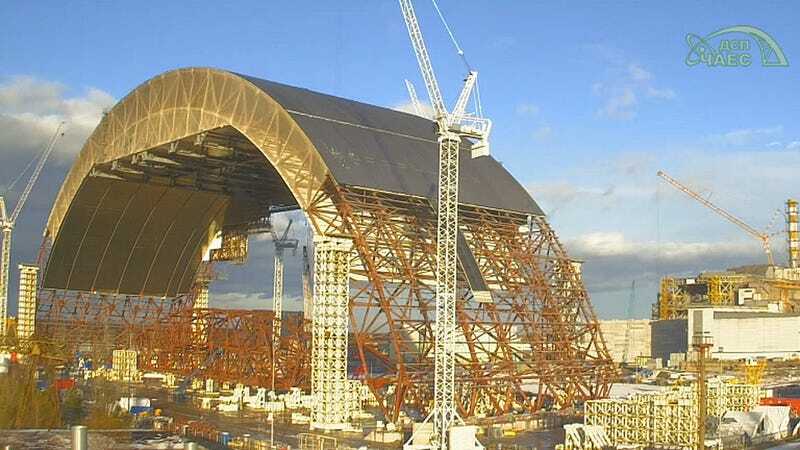 Look: The VAB! Look: The Super Guppy! This huge shark tank in Long Beach, California, features several species of sharks: sand tiger, nurse, zebra, and blacktip reef sharks. Thrilling webcam of a 26 kg Foucault pendulum, constructed by Prof. Guido Pegna (Cagliari University, Physics Museum Of Sardinia). Image from a webcam built by the Polar Science Center. It was installed in part to monitor the fate of the large Acoustic Ice Tethered Profiler (AITP) ocean buoy, its AITPs laser cloud sensor. "Introducing the one and only, incredible and sensational, unbelievable beyond belief... the Blinking Lights Webcam. This is an axis 2100 network camera that points at a local resident's netgear network switch for blinky light fun for all ages!" - adamxp12. MicroscopeCam New York, NY United States. This cam uses light microscope broadcasting simple life forms living in a drop of water. A view of the Canada-France-Hawaii Telescope at the summit of the dormant Mauna Kea volcano on the Big Island of Hawaii, USA. The picture is taken from the Gemini Observatory. View from Top Thrill Dragster, one of Cedar Point Amusement Park's thrill rides (Sandusky, Ohio). The Pitch Drop Experiment webcam. You can be part of science history of you catch the ninth drop of bitumen on the webcam of the School of Mathematics and Physics at The University of Queensland, Australia. This is the beloved Centennial Bulb, the Longest Burning Light Bulb In History. (Began at 60 watts, currently shines at 4 watts, now in its 112th year of illumination.) Location: Fire Station 6, 4550 East Ave., Livermore, California. This improved incandescent lamp, invented by Adolphe A. Chaillet, was made by the Shelby Electric Company. La Silla NightCam: breathtaking night views of the Milky Way from the La Silla Observatory, Chile. Webcam, showing the Tanegashima Space Center, Japan's largest space development center, located on Tanegashima, an island 115 km south of Kyushu. Live Kennedy Space Center Visitor Complex webcam recently showing two rockets and a christmas tree. The Georg von Neumayer Antarctic Station – panoramic view from the communications radome. Antarctica, Halley Research Station webcam, mounted on the radiometer caboose about 75m south of the main station, and looks North. RRS James Clark Ross research ship webcam, situated on the bridge. When not on long sea passages, the scenery changes regularly: spectacular sunrises/sunsets, stunning Antarctic vistas and the occasional Southern Ocean storm can all be seen. The devastated Fukushima Nuclear Power Plant under reconstruction. Webcam recently pointing from inside the plant southeast direction on reactor units 1 to 4. 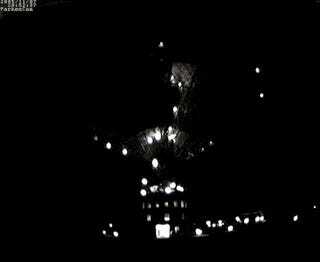 Webcam of the Parkes Radio Telescope, Telescope National Facility, Australia.